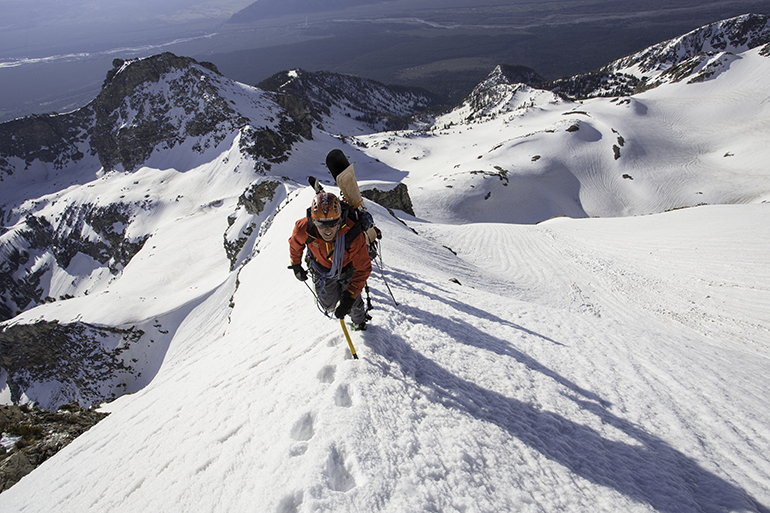 One of North America's most sought after peaks to climb is also a sought after ski descent. The Grand Teton is a test piece among hard-core ski mountaineers. 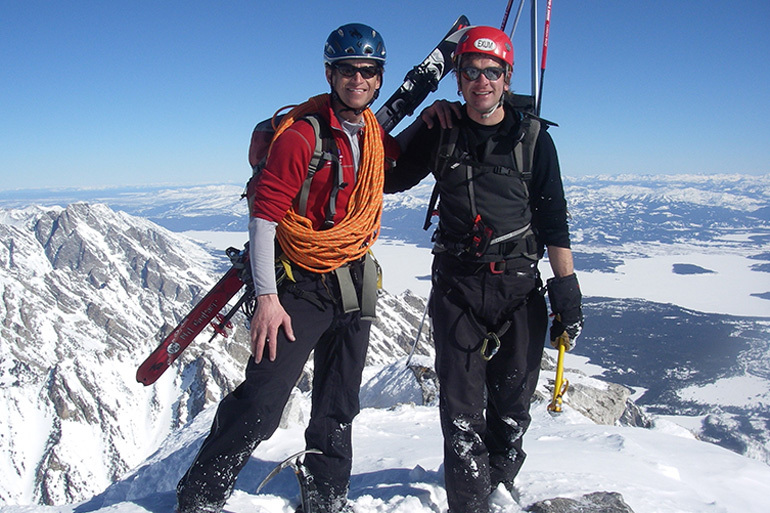 Through years of guiding in steep terrain throughout the Tetons, Alaska and Europe, we’ve developed and honed unique techniques for steep ski guiding. Now we’re using these techniques to dramatically push the boundaries of possibility. Skiing the Grand requires that you are an expert skier and are comfortable in steep and exposed terrain. It also requires experience climbing easy water ice and steep snow, along with being comfortable moving in crampons through varied terrain. In other words, a ski descent of the Grand is your reward for a commitment to skiing and climbing, and is only possible after putting in your time in the mountains. Our guides can help you develop a personal plan to acquire the necessary skills. Once you have skied other peaks with us and demonstrated a high level of ski mountaineering competency, it’s time to set your sights on, what we assure you will be, the ski descent of a lifetime. Please call to discuss details. Please call to discuss pricing for the various options. The Tetons offer some of the best backcountry skiing and snowboarding in the US. 7,000 vertical feet of eminently accessible terrain make the Tetons a sought-after area for ski-mountaineering.